That’s what HouseLens CEO Andrew Crefeld recently told a reporter from our local CBS affiliate. And it’s true: Today, 92 percent of buyers start their home search online and the average buyer spends three weeks online before even contacting an agent. Moreover, new research shows that younger buyers, in particular, are turning to online information sources far more often than traditional approaches, such as open houses. That means homebuyers are looking to get as deep into the buying process as they can online — and an optimal online experience is what’s going to differentiate you from your competitors. Want to be the agent who gets the call? Here’s how to build a quality online experience that will net you (and your sellers) a large quantity of quality leads. Think mobile-first. It’s common knowledge that 89 percent of buyers use mobile in their real estate searches. 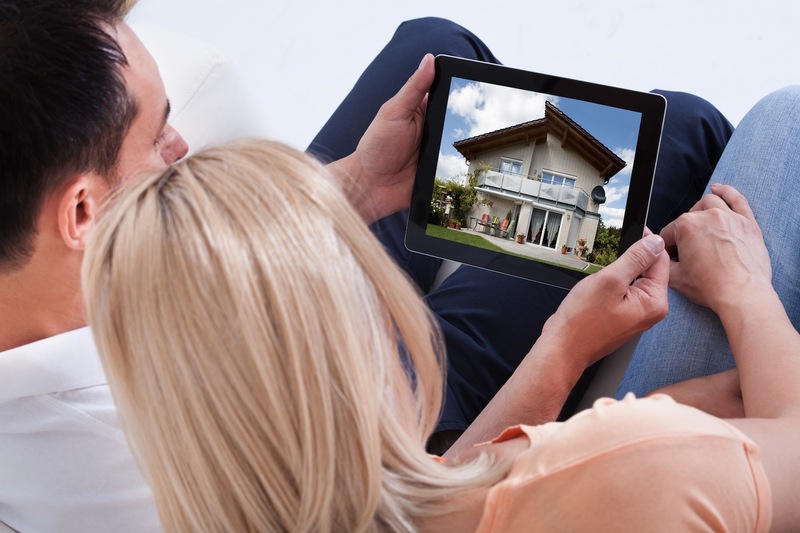 But did you know that 77 percent of buyers even use mobile from their homes? That’s right: Even when they have access to a computer, more than three-quarters of buyers like to swipe through real estate information on their phones or tablets. Apps are one option for capturing the mobile market, but going mobile-first is even better. A mobile-first, responsive design allows your full website to resize and reformat automatically for mobile use — without losing functionality. That means buyers can access all your listings and other information immediately, without the inconvenience of software installation, zooming or pinching. And if that’s not enough to convince you, consider that Google recently updated its algorithm to reward mobile-friendly websites. Cover your bases. These days, it’s not enough to put up a website and walk away. You also need a social media presence. Take the few minutes required to at least set up accounts on YouTube, Facebook and Twitter. If you have time and inclination, add Instagram and Pinterest to your mix. Then post regularly to build interest and generate awareness and leads. It takes less time than you think; less than an hour a day should be sufficient. Not sure what to post? Share a mix of buyer- and seller-friendly content: listings, home improvement tips, educational videos and articles about the homebuying process. If you set up your accounts to follow industry-leading sources such as Inman, Realtor Magazine, NAR and the major brokerage brands, you won’t even have to search for content to share — it’ll come to you! In other words, if you want to grab buyers’ attention, hold it and communicate a wealth of information all at once, quality photos and video are the way to go. Be a thought leader. In today’s online marketplace, content rules the day. But there’s one problem: Technology changes so quickly that it’s often difficult for all of us to keep up. So as the industry searches for tech solutions that meet buyers’ demands for a quality online experience, don’t be afraid to make your voice heard. Let your listing portals know that you want to integrate video and maybe even 3-D into your listings — they need to know it’s worth investing the resources required to update their systems. And encourage your colleagues (or, if you’re a broker, your agents) to raise the bar in your market by offering a second-to-none, online-centered experience. You’ll stand out from your competitors and, when they see the light, you’ll be known as the early adopter who led the way. Are you ready for the online marketplace? What are your tips for building an outstanding online experience? David Greenberg is chief revenue officer for HouseLens, the nation’s largest provider of full-motion walk-through video tours for real estate listings.